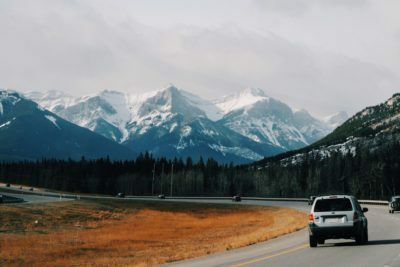 What Should I Do If I Get in an Accident While Out-of-State? What Should I Do If I Get Into an Accident While Out-of-State? If you get into an accident while out-of-state, follow the same steps you would take if you were involved in a car accident in your home state. Your insurance coverage follows you wherever you go within the United States, so you can be assured that your New York State No-Fault Benefits will cover your medical bills regardless of who is at fault. Things can get a bit tricky when it comes to pursuing recovery through a bodily injury claim when in an out-of-state accident. Your personal insurance will adjust to at least meet the minimum coverage requirements of the state where the accident occurred. For example, if you’re a New York resident and have the minimum coverage (25/50/10) and are then involved in an accident in Maine, your policy would adjust to Maine’s minimum of 50/100/25. This is great for the other driver/pedestrian if you are at fault for the accident. However if you’re pursuing a bodily injury claim because of the other driver’s negligence, your claim can be limited by that person’s insurance coverage which can be drastically lower than New York’s minimum (New Jersey’s minimum is 15/30/5). You are also subject to that state’s law, including their statute of limitations and must meet the threshold set by that state. A New York State attorney can still represent you but only an attorney from the state in which the crash occurred can file a suit if a settlement cannot be reached. If you find yourself if an accident while out-of-state, contact NYC Personal Injury Attorney, Wittenstein & Wittenstein right away. We have over 60 years of experience in dealing with these types of cases. Call 718-261-8114 to schedule a free consultation today.